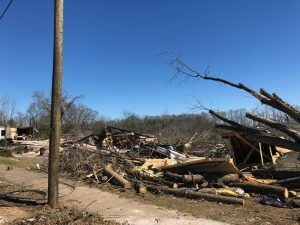 In early March, tornadoes devastated various local communities within Coca-Cola UNITED’s southeastern United States footprint, which includes parts of Alabama, Georgia, and Tennessee. The philanthropic arm of Coca-Cola, The Coca-Cola Foundation, and Coca-Cola UNITED combined efforts to meet the needs of the communities that are hurting after this tragedy. 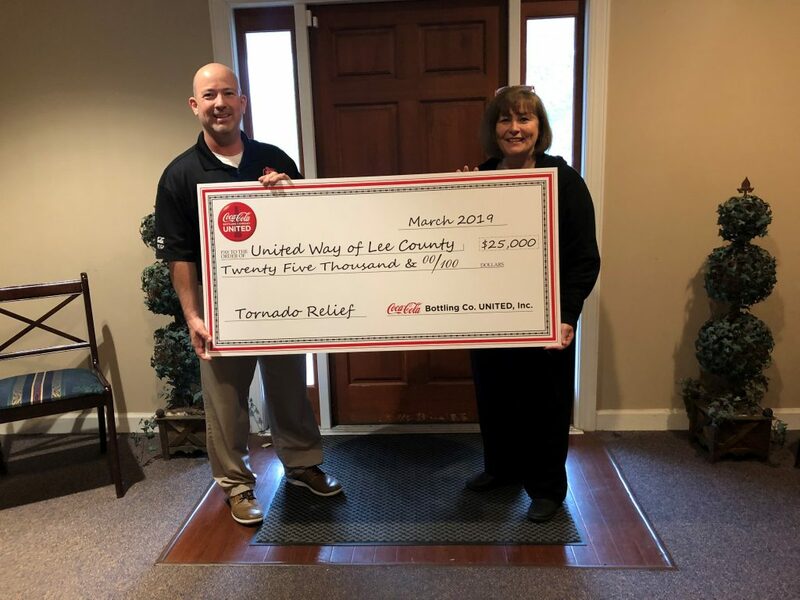 To compound the Foundation’s efforts, West Point Coca-Cola, the local bottler of Coca-Cola UNITED, presented a check for $25,000 to support continuing relief efforts in Lee County, Alabama. West Point Coca-Cola also continues to contribute by donating food and beverages to emergency responders in the Lee County area. Our West Point Coca-Cola territory lay in the path of the deadly tornadoes, but we are blessed to report that our people and their families have all been declared safe. We quickly sprung into action after the immediate threat of the tornadoes dissipated, starting by providing lunch from Pokeys 8th Street Grill to the Lee County Emergency Management Agency as they worked tirelessly to aid the people of our community. The Emergency Command Center for the area has been established inside Beauregard High School where Dasani™ water, Powerade™ and other Coca-Cola™ beverages have been made available to keep these devoted and hard working crews hydrated in their continuing efforts. 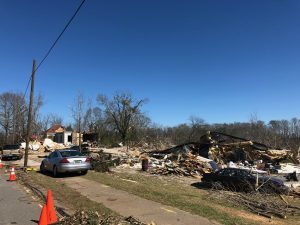 On Wednesday, March 6th, two West Point Coca-Cola managers, Scott O’Neal and Allen Buffington, traveled to offer assistance in Talbotton, Georgia, another community affected by the storms, while others stayed back to continue relief work in their community. Patricia Lunsford, Office Manager for West Point Coca-Cola, was among the West Point team who stayed to serve breakfast from Kimble’s to all the police, EMS, firefighters, news media, and volunteers gathered at Beauregard High School. The team was also handing out and Dasani™ water for everyone to take with them as they worked. It’s hard to put into words the devastation that these communities have experienced. But despite incredible hardships, the people of Lee County and the surrounding areas have embodied sincere servant love and courage. Even through their pain, they smile and press on to help one another. To donate to the American Red Cross in support of tornado relief efforts across the southeast, click here. Niceville High School Pole Vaulters Wins $10,000 in the Powerade Power Your School competition!